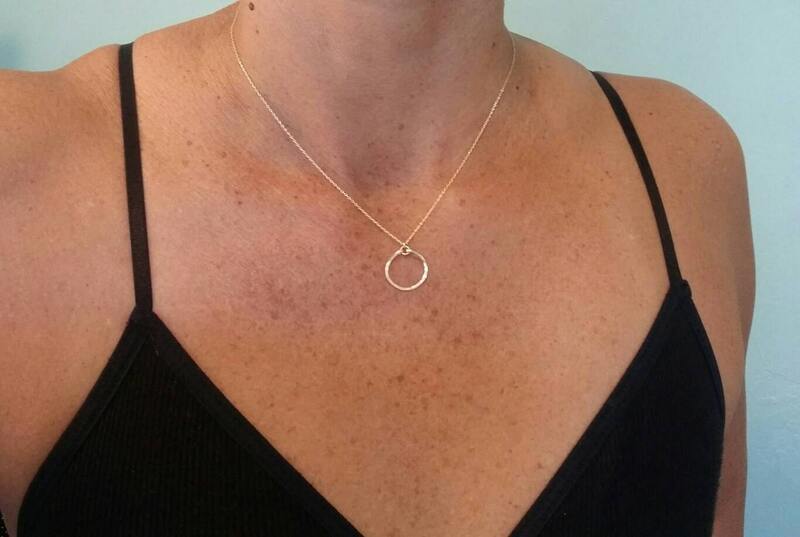 This beautiful necklace has a handmade tiny gold circle. Perfect to wear every day. 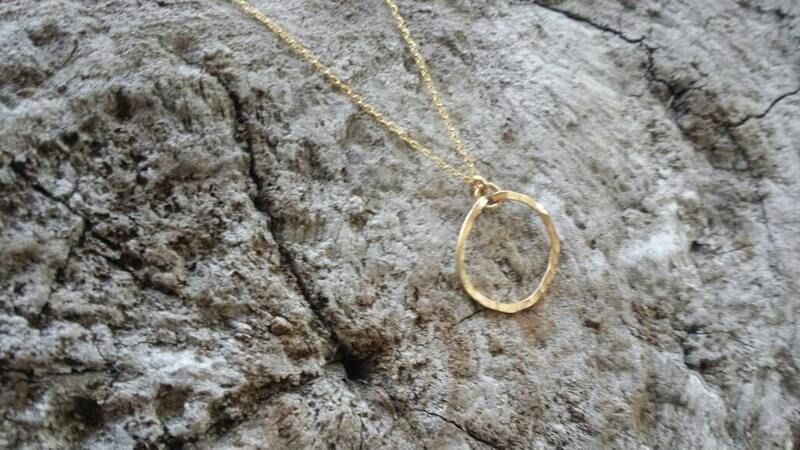 The circle measures 10mm across and it hangs on a 14K gold filled chain with a 14K gold filled clasp. Shown in 18" length, but can be made as a long layering necklace also. Please choose length above. 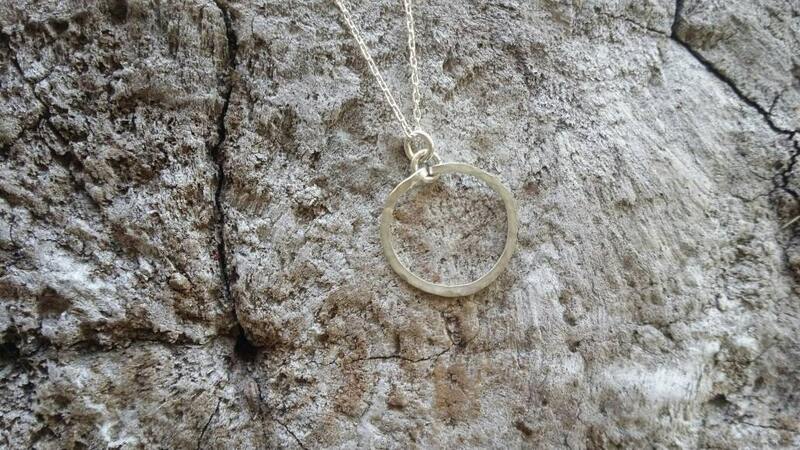 Also available in silver as shown in the last photo. 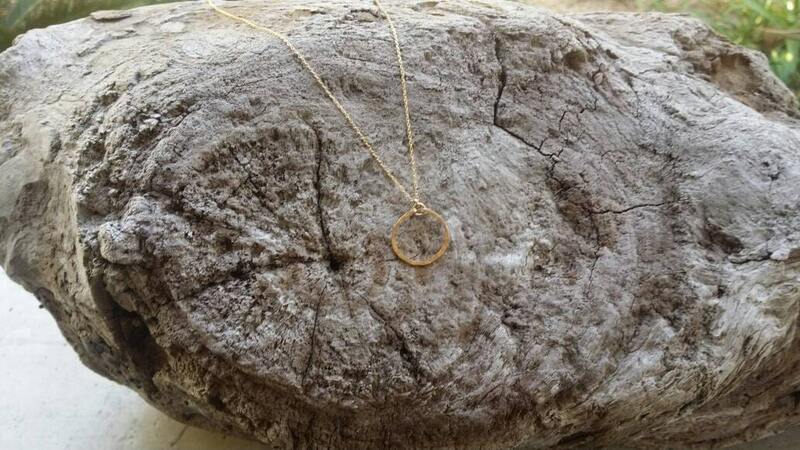 Beautiful necklace for every day. 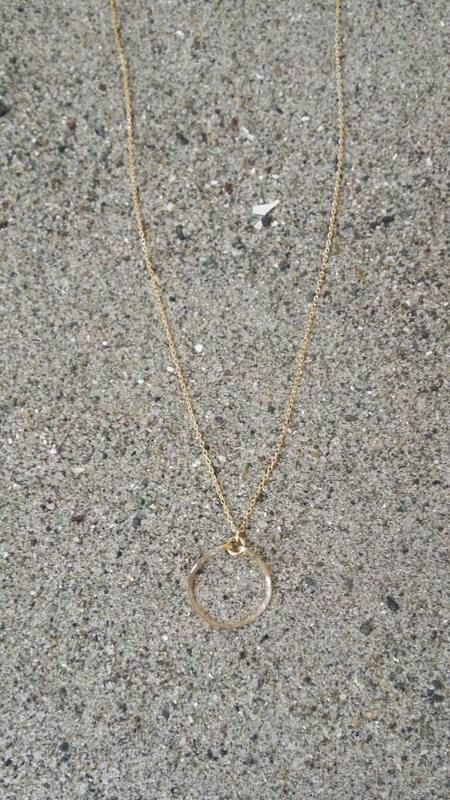 I bought a necklace from JadedSLO several months ago & lost it on vacation! I was so sad! I replaced it with this one & it’s beautiful! I sleep & shower wearing it & it’s never tarnished! High quality at extremely reasonable prices!